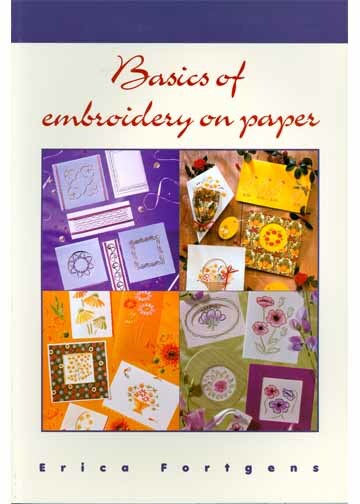 Basics of Embroidery on Paper Book Make your own cards for all kinds of occasions using this Basics of Embroidery on Paper. This is a 175 page instruction and pattern book. This book contains basic information on embroidery on paper, with projects for every occasion: lovely Christmas cards, wedding and birth announcements, anniversary and lots of other matching designs.